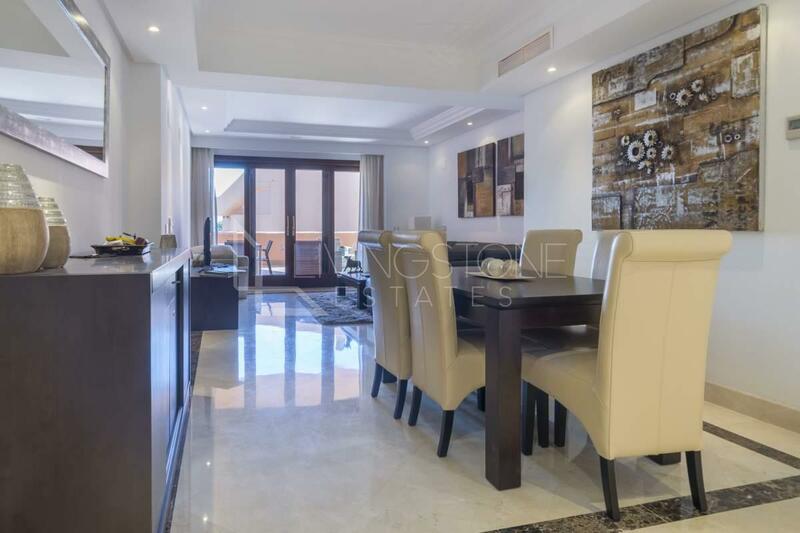 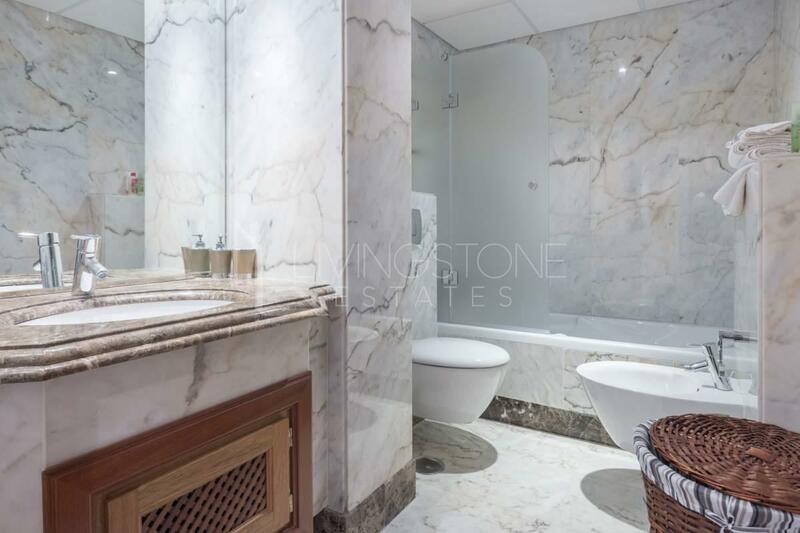 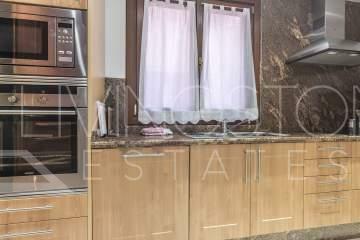 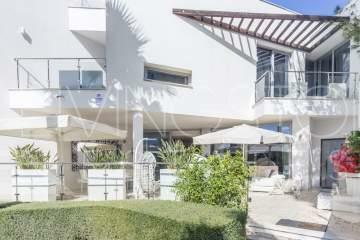 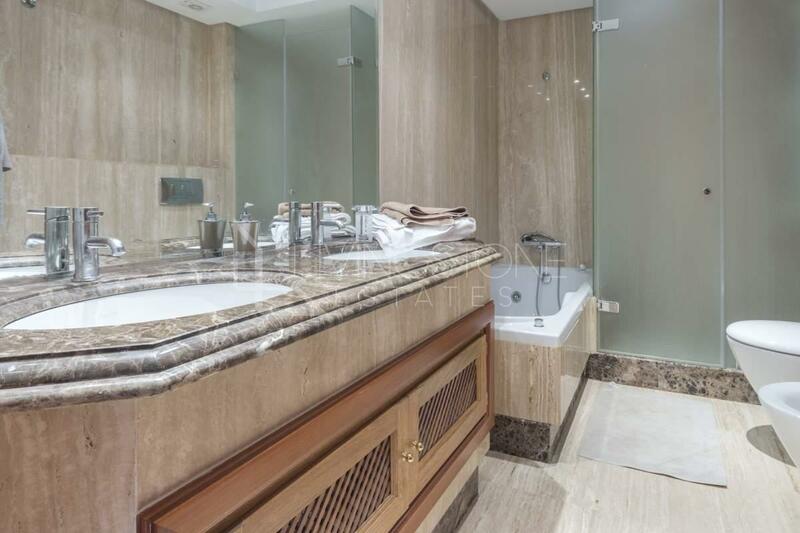 Beautiful luxury apartment in the exclusive beach front urbanisation! 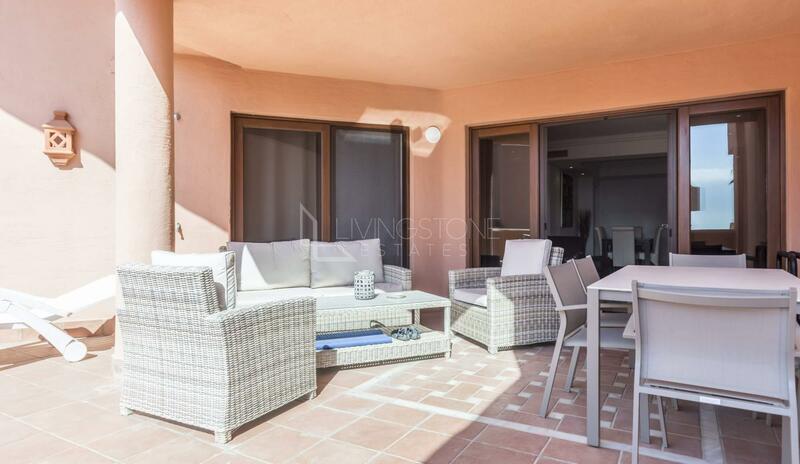 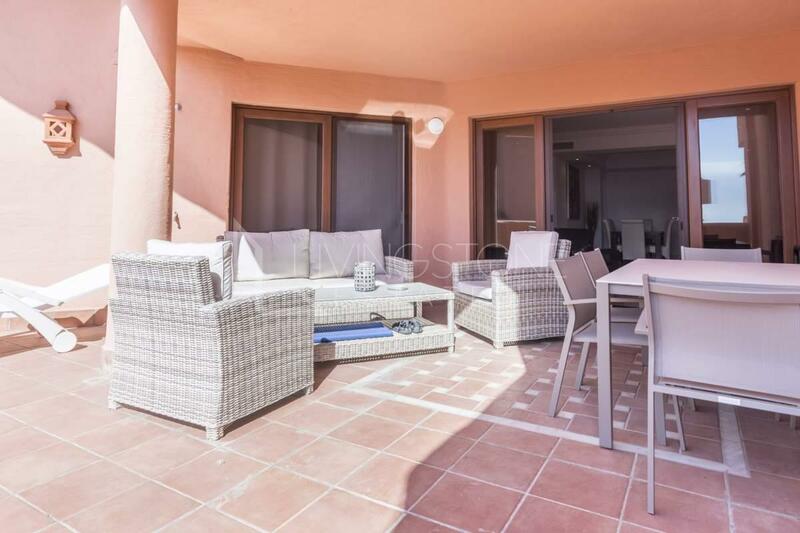 It has two spacious bedrooms, two bathrooms, large living room with the exit to the big terrace with the partial sea views, fully fitted modern kitchen. 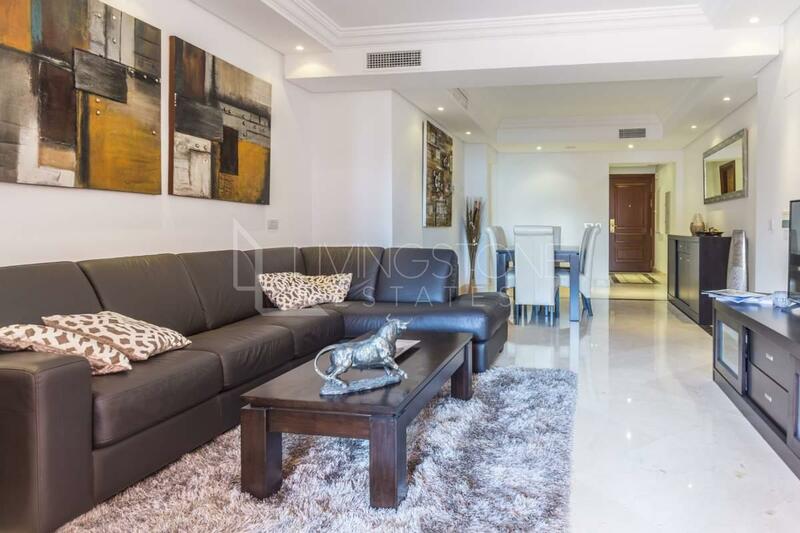 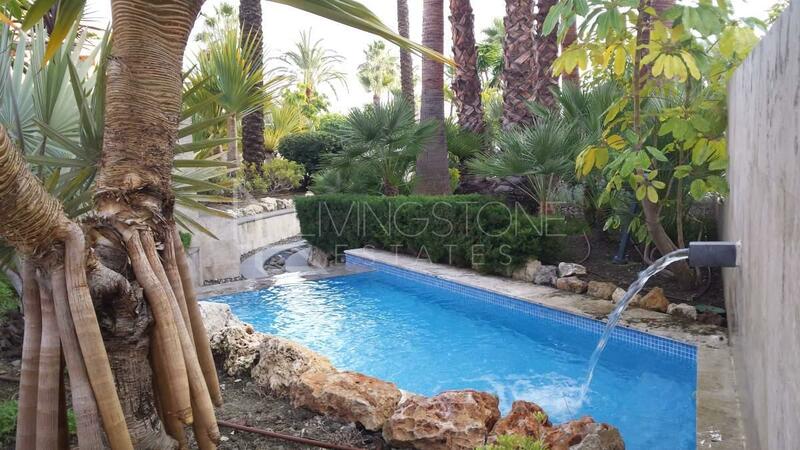 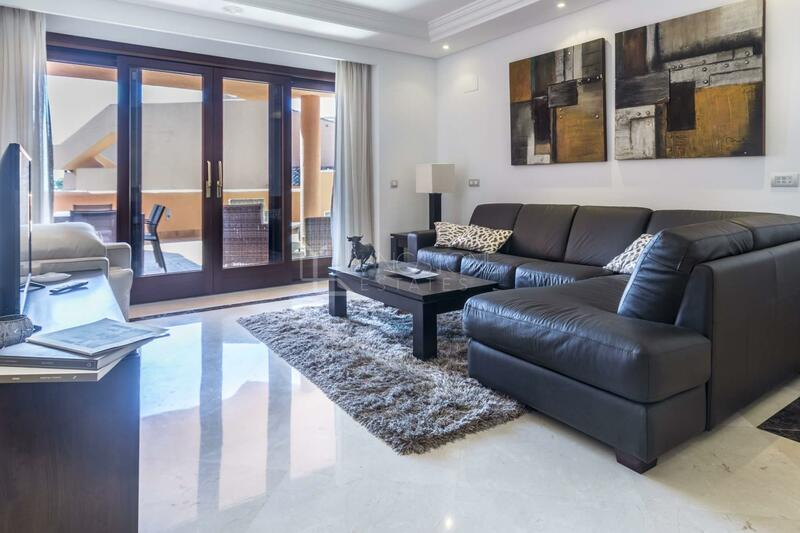 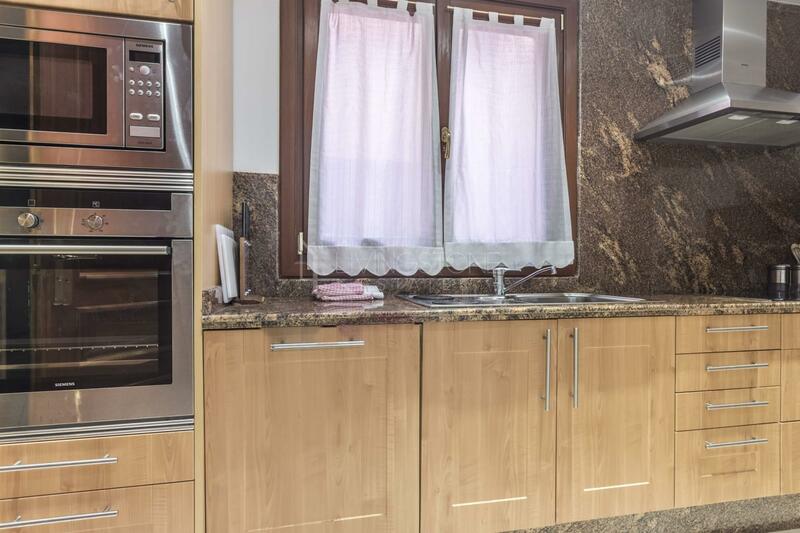 The apartment is equipped with the marble floors, installed wardrobes, doble windows, window shutters, hot/cold air conditioning and undefloor heating. 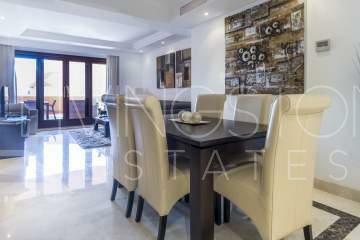 All finishings of the property are very high quality. 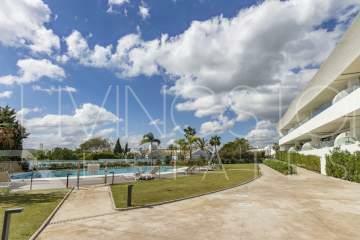 The complex is gated with 24hours security and reception, splendid summer pool, tropical gardens and SPA area - indoor pool, gym and sauna. 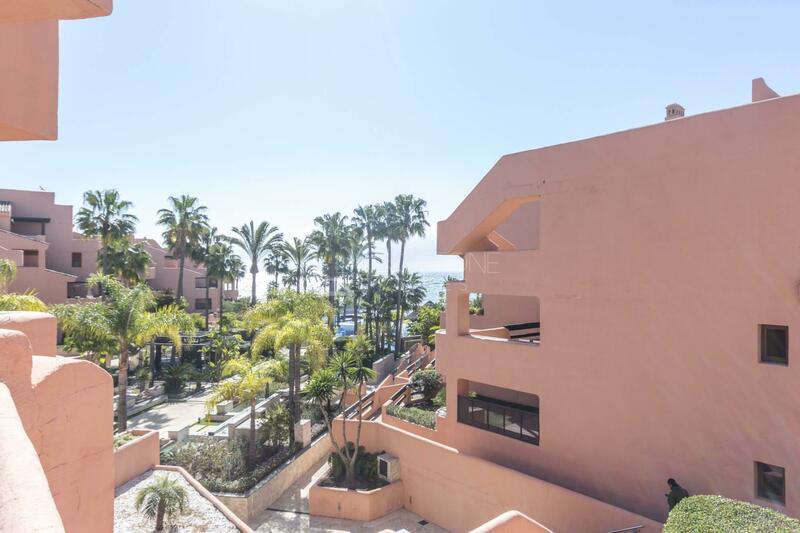 It has direct access to the sea and beach front promenade, in walking distance to 5* Kempinski Hotel, to several local restaurants and to Estepona entrance. Apartment has 3 underground parking spaces included in the price !